My first thought was that it was an oxymoron. 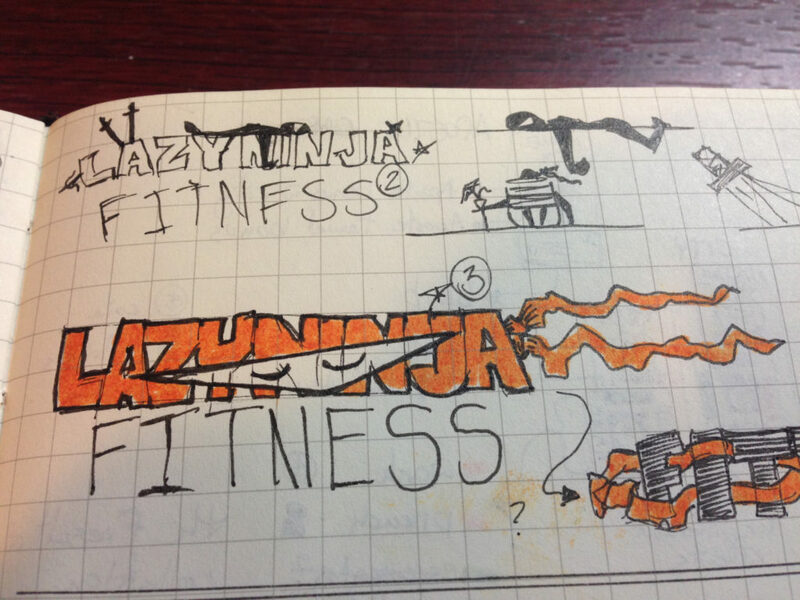 A lazy ninja and then linking that into fitness. But it was described to me as “minimum effort, maximum efficiency” not being lazy so much but rather only moving when required to and when you move, do it to the best of your potential. 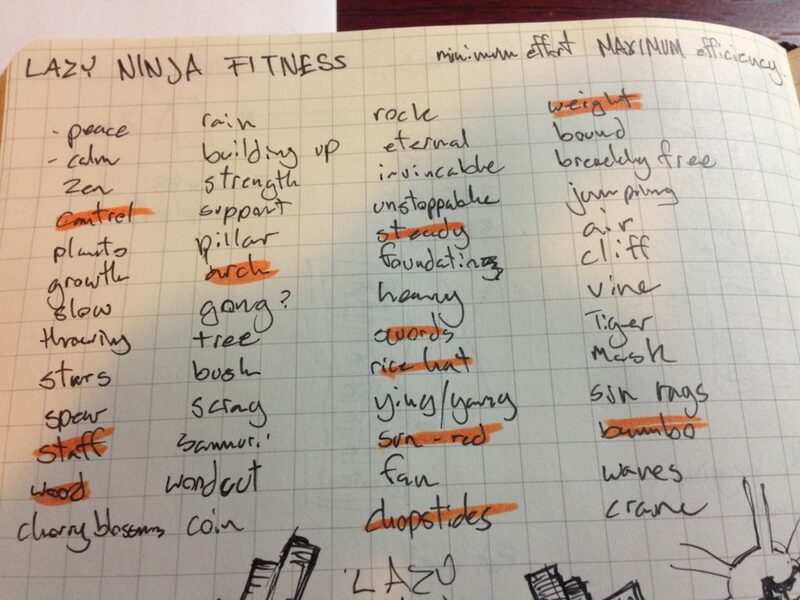 That’s the idea behind the training, a minimum workout with the maximum results. So I set to work on how to convey that in the brand. 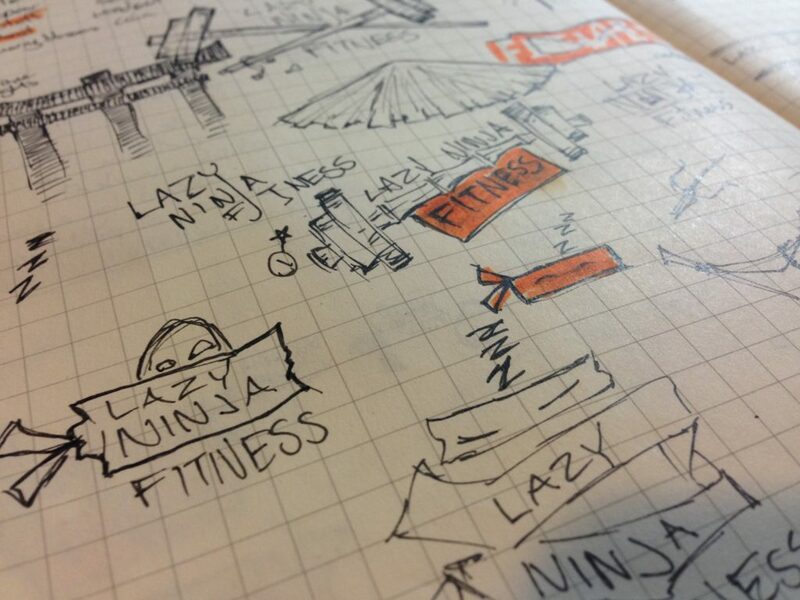 Below are a collection of some of the process that I went through while developing the logo. 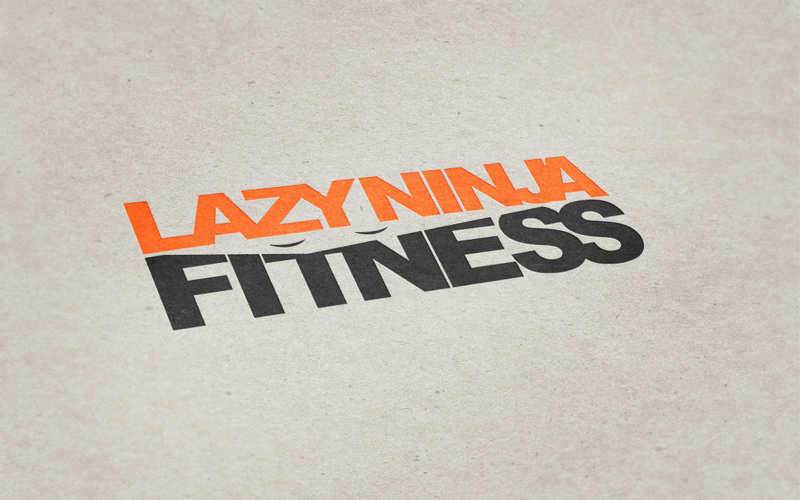 Here is the finalized Logo, two resting or sleepy eyes peeking out between the letters. The final result is simple conveys the concept and is strong in its appearance.